The UCF Libraries is requesting $98,835 ($101,835-$3,000 cost share) for the one-time purchase of the American Chemical Society (ACS) Legacy Archives. The American Chemical Society is the accreditation organization for chemistry programs for the United States colleges and universities, including UCF. It is also a leading publisher of peer-reviewed research journals in the chemical and related sciences, serving scientific communities worldwide. The ACS Legacy Archives provides full-text searching and instant access to all titles, volumes, issues, and articles journals by the ACS from 1879 to 1995. This collection includes nearly a half million articles from the most-cited journals in chemistry and beyond including the work of 180 Nobel Laureates. The journals included on the ACS Legacy Archives are unique and cannot be acquired from other sources. Each full text article is available for online reading, downloading or sharing by the UCF students and faculty. Contents can be discovered by searching the “QuickSearch” or by “Online Journals” on the Library Homepage. The content will also be exposed in the subject databases and Library Research Guides. UCF Users preferring Google Scholar or simply Google should also find the full text content on-campus or logged as UCF user. All content and features will be accessible through ACS’s user-friendly interface that provides options to browse by collection, institutional affiliation, or author. The results are easily exported to various file formats that are friendly for the users to manage. Content can be accessed by an unlimited number of simultaneous users (24×7), and there is no limit to number of concurrent uses. UCF will own the collections and therefore meet the instructional and research needs of the UCF community well into the future. The ACS Legacy Archives on ACS will be available to all UCF students, faculty and staff anywhere, anytime, 24×7. It will also benefit UCF Regional Campuses, online courses, and distance education programs. ACS will allow fair use of the content for educational purposes, including embedding links into WebCourses and Canvas. Access would be available to all UCF students and employees, with off campus access enabled by Shibboleth authentication. The table below shows the UCF student that will directly benefit from the purchase of ACS’s ACS Legacy Archives. The journals in ACS Legacy Archives cover chemistry, which is hailed as the central science for its wide application to all STEM disciplines, and therefore have tremendous impact for UCF’s strategic goals to gain national and international preeminence. As both a prominent publisher and the accreditation agency for all college chemistry programs, ACS provides contents such as Legacy Archives are gold standards to all chemistry curricula in higher education. Besides traditional science programs such as chemistry, new and fast-growing UCF programs such as nanoscience, biomedical and forensic sciences also rely heavily on ACS contents for teaching and research. UCF Libraries subscribes to the current ACS journals on annual basis with perpetual rights. ACS Legacy Archives enables UCF students to acquire contents of all ACS journals seamlessly regardless of the publication years. It is currently available through lease at an annual cost of nearly $9,000 each year plus inflation. As soon as UCF stops paying this annual cost, users will lose the access to the Legacy Archives. As a fundamental science subject, chemistry is timeless. Despite the older dates, journal articles in this Legacy Archives are constantly in demand, as demonstrated by the usage stats year after year. In addition, UCF scholars had citied nearly 300 times of content covered ACS Legacy Archives in the recent decade, according to Web of Science. 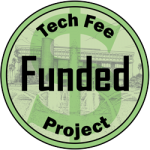 Purchasing the ACS Legacy Archives on Technology Fee will grant UCF the ownership of the coverage in perpetuity and safeguard the content once and for all. As a professor in both Chemistry and CREOL, The College of Optic and Photonics, I am writing to support enthusiastically the UCF Libraries’ proposal to purchase the American Chemical Society (ACS) Legacy Archives collection. Chemistry is often called the “Central Science” because it is foundational for understanding and applying all other STEM fields. The chemical literature is routinely accessed by our researchers and instructors in medicine, biology, materials science, physics, astronomy, optics, photonics, engineering, mathematics, and other fields. We all know that modern research is highly interdisciplinary. But to sustain interdisciplinary research, scientists and engineers must have routine open access to the literature, particularly the Central Science of chemistry. ACS is a leading publisher of peer-reviewed research journals in chemistry and related sciences, serving scientific communities worldwide. The ACS Archive will support undergraduate and graduate training across campus and interdisciplinary research across UCF. This source material will provide wonderful opportunities to help UCF students compete with those at other institutions who have greater access to library resources. A key metric in UCF’s Strategic Plan is to grow the extramural funding to $250 million. Achieving this goal requires that researchers across all disciplines have open access to the chemical literature. As we grow to become a pre- eminent research institution, having access to legacy archives will be imperative to reach our broader institutional goals. ACS is the largest scientific professional organization in the world and the accrediting organization for college chemistry programs across the nation. As UCF’s chemistry program is undergoing accreditation visit this year, it would highly benefit our application to have the ACS Archives available in our libraries’ collection. The cost of the ACS Archive is reasonable and a good investment for our campus-wide research enterprise. The one-time fee guarantees access in perpetuity to the knowledge base of 22 leading chemistry peer-reviewed journals, reaching as far back as 1896. We should recognize that the annual costs for the Archive and individual journals in the collection will only increase going forward. So purchasing the Archive now reduces future real costs for supporting research. $225,214 (NSF award no. 1711356). This project draws heavily upon the chemical literature. Our ability to pursue this and other funding has in the past been limited by access to the literature. Acquiring the ACS Archive helps ensure that awards like mine continue to flow into the university. I am writing to enthusiastically support the UCF Libraries’ proposal to purchase the American Chemical Society (ACS) Legacy Archives collection as a Professor and Interim Director of the NanoScience Technology Center (NSTC). This material is extremely beneficial to our Master of Science programs in Nanotechnology because of the wide breadth and depth of ACS archives and its specific importance to most nanomaterials and nanotechnologies fields. All of courses in our MS programs ranging from the core courses including “Introduction to NanoScience and Technology” and “Biomedical Nanotechnology” to elective courses such as “Advanced Materials for Rechargeable Batteries” could benefit immensely from ACS Legacy Archives collection. The availability of the references to student and faculty through the ACS Legacy Archives is important to advance research and education program at NSTC and UCF and keep these programs competitive with the country’s best programs in nanotechnology. The American Chemical Society is the accreditation organization for chemistry programs for the United States colleges and universities. ACS is a leading publisher of peer-reviewed research journals in the chemical and related sciences, serving scientific communities worldwide. Indeed, many faculty members at UCF disseminate their research results through various journals at ACS. This source material will provide wonderful opportunities to help UCF students compete with students at other institutions who have greater access to library resources. As we grow to become a pre-eminent research institution, assuring access to legacy archives such as these, will be imperative to our broader institutional goals. This proposed purchase will guarantee UCF owns this invaluable source to support the curriculum of NSTC. I enthusiastically endorse the library’s application to purchase the ACS Legacy Archives. Please feel free to reach me if you need any additional information. As the Undergraduate Coordinator of the Forensic Science Program, I am writing to enthusiastically support the UCF Libraries’ proposal to purchase the American Chemical Society (ACS) Legacy Archives collection. This material is extremely beneficial to our undergraduate and graduate programs in Forensic Science since our tracks are part of the Chemistry Department here at UCF. Both direct student and faculty use of these materials available through the ACS Legacy Archives is important to our field. The American Chemical Society is the accreditation organization for chemistry programs for the United States colleges and universities, and as our undergraduate program is undergoing an accreditation visit this year, it would highly benefit our application to have the ACS Legacy Archives added to our library collection. ACS is a leading publisher of peer-reviewed research journals in the chemical and related sciences, serving scientific communities worldwide. The undergraduate students in our department would greatly benefit from access to the Legacy Archives. Specifically during their undergraduate research experiences as well as research intensive courses such as CHS 3530C Forensic Analysis of Controlled Substances. This source material will provide wonderful opportunities to help UCF students compete with students at other institutions who have greater access to library resources. As we grow to become a pre-eminent research institution, having access to legacy archives such as these will be imperative to our broader institutional goals. I am happy to endorse the library’s application to purchase the ACS Legacy Archives. Please feel free to reach me if you need any additional information. I am pleased to write this letter of support for the tech fee proposals, which will add an important database to the ACS Legacy Archives. I believe that this service would be a very useful addition to library resources as part of the tech fee proposal that is being considered. They would benefit (AMPAC and MSE) undergraduates as well as graduates who are taking a number of materials classes, or working to increase their methods competencies (e.g., the undergraduate projects held annually). This will help the current faculty. The UCF Libraries is committed to work directly with faculty and students. The Subject Librarians in the relevant disciplines will distribute the news and offer training via venues such as newsletter, library instruction and research consultations. ACS Legacy Archives will benefit faculty by providing content for faculty research and content for course assignments. The UCF Libraries will continue measuring the usage of ACS Legacy Archives through reports and satisfaction surveys. COUNTER reports (an industry standard format for online usage statistics). Based on the usage on the subscribed content, it is expected that usage on ACS Legacy Archives will remain robust each year. The content in ACS Legacy Archives is unique and not available otherwise. It is expected that students and faculty will find the content highly useful. Another critical success with the purchase is the fact that the UCF users won’t risk losing content in the event of cancelation due to financial hardship. After implementing the ACS Legacy Archives, the UCF Libraries will provide training on the use of the content through a host of outreach opportunities to both students and faculty. The subject librarians will collaborate with the academic programs and units identified aforementioned to promote it. Bibliographic instruction sessions, face-to-face reference sessions, one-on-one research consultations and Research Guides will all be used to promote the collection and provide needed instruction. In addition, selected faculty and students may be asked for comments for qualitative assessments. The Libraries will annually measure the success of the ACS Legacy Archives through COUNTER usage data provided by ACS administrative site. The annual usage reports are included in the Libraries’ Annual Report and will serve an important benchmark. The requested funds will cover the cost to purchase the ACS Legacy Archives. The Libraries will maintain links and support access. There is no additional recurring costs for maintenance of the collection. All content and functionality associated with ACS will be hosted by ACS, so there will be no new demands on UCF staff or infrastructure. The requested $98,835 ($101,835-$3,000 cost share) in technology fee funding, plus the $3,000 cost share from the Libraries, will cover the entire purchase of ACS Legacy Archives from ACS. The purchase will remove the uncertainty for the content access. And the most remarkable benefit is UCF will own the content in perpetuity, instead of the lease model in which UCF could lose the content any year the subscription fee is unpaid. The cost per student simultaneously served is estimated $5 ($98,835 / 16,765 = $5) based on the students directly benefited. However, this price per student is misleading because faculty and other students can access the products for unlimited times. Over time the cost per use could be much lower. And the value of its contribution towards future research grant activities cannot be underestimated.